Let’s say I am concatenating a string with values from a collection. Every time I add a value, I want to append with a comma (,) and a space to separate. I don’t know at run time how many objects are in my collection, so when I am done, I need to remove the last comma (,) and space. The following code shows how the string is built, what it may look like when completed, and how to remove the last two characters – comma (,) and a space. mHobbies= mHobbies & .hobby & ", "
When working with a menu control, I found that Internet Explorer 9 can’t handle setting both the static and dynamic hover style properties of the menu control. It works fine in Chrome and Firefox, but not IE-9. To make IE-9 compatible, add the following meta tag within your <head> tag of your aspx page that contains the menu control. I came across a scenario where I needed to write conditional statements in my WHERE clause of my SQL that was more complex than what a ‘CASE WHEN’ statement could provide. I have two parameters, @FieldA and @FieldB. Both parameters can have a value of either ‘A’, ‘Y’, or ‘N’. If the value = ‘A’, I want to basically bring back all records as if I am not using a filter at all as if to say where the column on the table >=0. If the value = ‘Y’, I want to bring back rows where the column on the table > 0. If the value = ‘N’, I want to bring back rows where the column on the table = 0. Running the following SELECT statements (without using the parameters mentioned above) brings back these result counts. 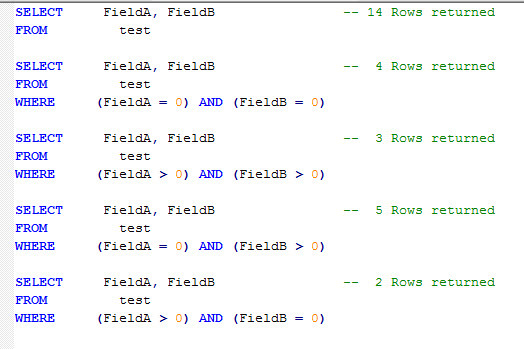 Now, I need to build one SQL statement using the the two parameters mentioned above to yield the same results. 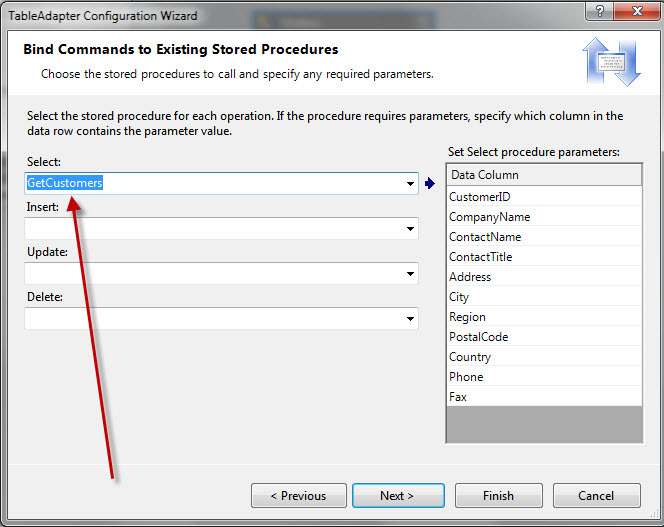 Instead of using a ‘CASE WHEN’ statement, you simply examine your parameter in your WHERE clause, and depending on parameter value, you follow the evaluation with the ‘AND’ operand and the fully qualified filtered statement that includes the database column, the operator, and the value to compare. The ? would be translated to be either ‘>’, ‘=’, or ‘>=’ depending on the value of your parameters. So as you can see, ‘CASE WHEN’ can be very limited where the above solution allows you to fully qualify your conditional statements. Have you ever witnessed running a report in the Business Intelligence Development Studio only to see data that you know does not exist anymore in your SQL Database? 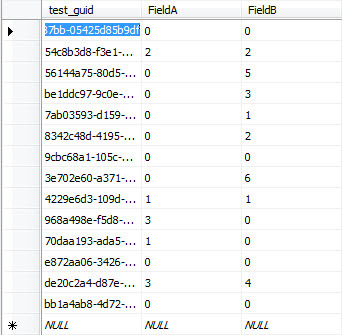 In certain circumstances, when previewing a report in BIDS, the environment bypasses getting data from SQL Server and instead retrieves the data previously cached. 1) Click the refresh icon on the toolbar when previewing your report. You have a collection of objects. You want a subset of that collection. Instead of making another SQL call to the database or using programming code to create a filtered subset of your original collection, you can accomplish this simply by using LINQ. The following scenario has already a GridView full of address data. I placed a radiobuttonlist control below the grid that allows a user to select ‘ALL’ or ‘FL’ (Florida). When the user clicks ‘FL’, I want to display in the GridView a subset of the original collection that contains addresses that pertain to Florida only. 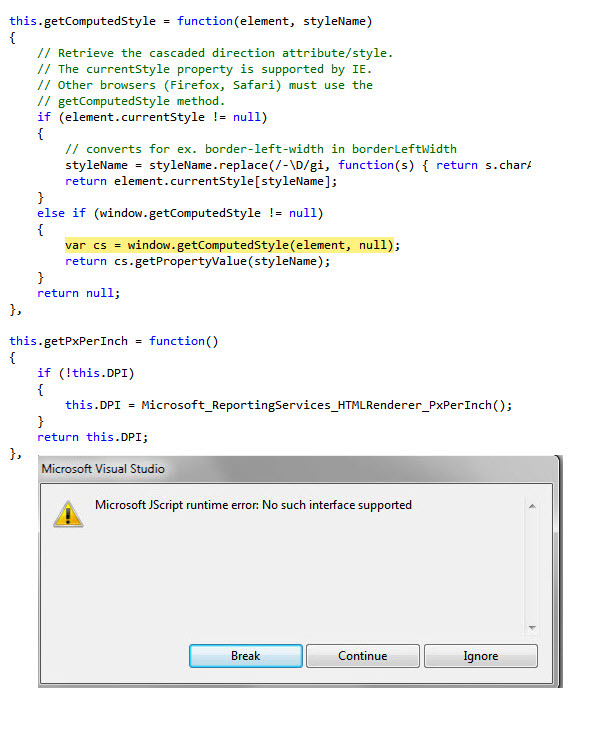 The following event for the RadioButtonList demonstrates creating the filtered subset by using LINQ. 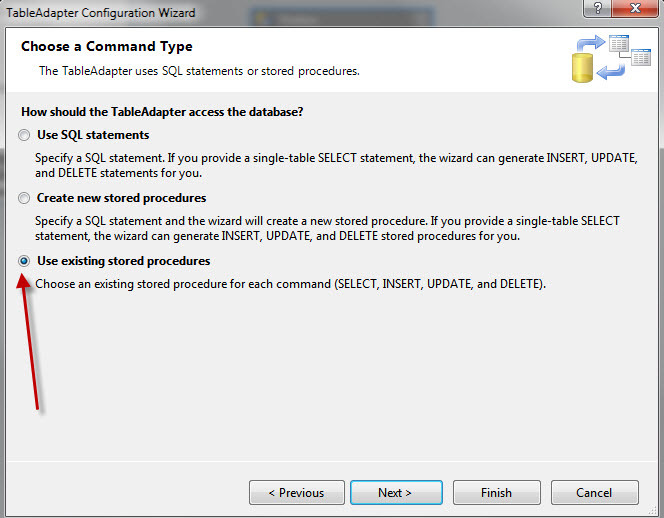 If you are not using a stored procedure for you table adapter, then the answer is DON’T!! I have done a lot of research and have found no perfect answer. Trying to pass ‘%’ to the fill method or embedding ‘%’ in your custom SELECT SQL statement of your table adapter with or without LTRIM’s and RTRIM’s just doesn’t work right. Note that I embed the ‘%’ in the WHERE clause. Finally, in your code behind, you just pass the value you are filtering on and let the LIKE ‘%’ wild card in the stored procedure take care of the rest. Your result set should be all customers that contain the value ‘EA’. Now this exception in no way prevents my report from running. I am not even sure what the error is all about. If I publish my web site and run it from the domain, I would never know the error was being thrown. I have found that a 'CASE WHEN' http://www.jamesandchey.net/?p=119 will work fine when working with one date range, but with multiple date ranges, the results can be unpredictable. The above logic proves to be a more effective way to get the results your are looking for. If the @start date and @end date are NULL, get all rows. Basically ignore this where clause. If your @start date is defined and @end date is NULL, the date range has no end, so get all rows after the range's start. If your @start date is NULL and @end date is defined, the date range has no start, so get all rows before the range's end.